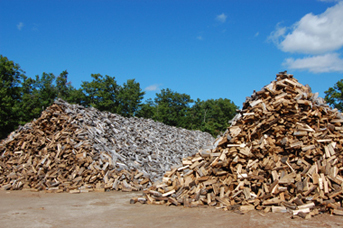 We also offer an “average” grade, which is a mix of all hardwoods. The casual burner or fireplace burner will like this mix better. It is easier to start, with a faster, hotter burn. This grade is more in line with what most wood dealers are selling and allows us to be more competitive in that market. 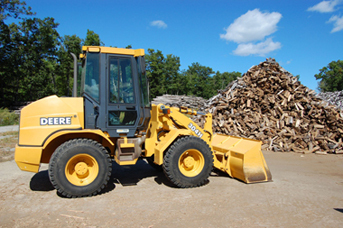 We offer firewood delivered on our arranged tractor trailer or yours. 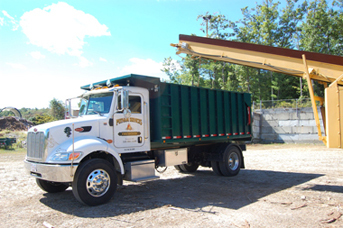 Our equipment can safely and efficiently screen and load a trailer in 45 minutes or less. 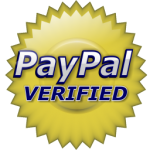 Please contact us for your needs and specific pricing. 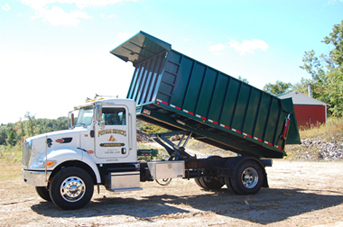 Our goal is to keep our equipment maintained and up to date to provide dependable loading and delivery schedules. 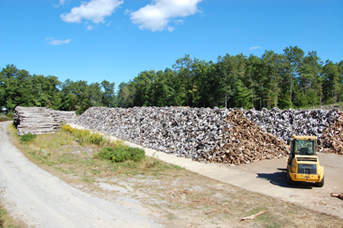 All wood is screened at time of processing and again when loaded out to insure clean delivered product. We waste nothing. The chips collected are ground up and used for natural mulch. We always have wood!! 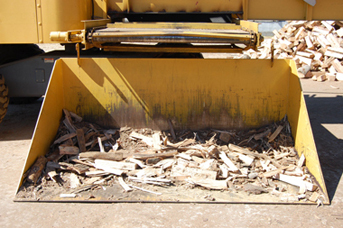 All seasoned wood is cut and split onto a concrete pad that is over a half acre in size! 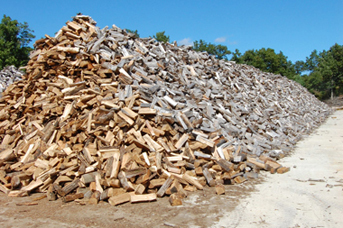 Clean wood on clean storage means dirt-free product delivered to your door. 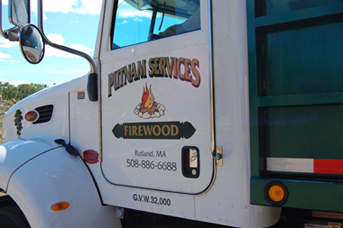 Local deliveries are made with our 3 cord capacity truck. The wood is always screened and loaded by conveyor. 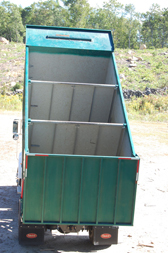 The truck is divided into three equal compartments, so we can deliver 1 – 2 or 3 cord orders in one stop.